Looking for easy storage ideas for the RV? It doesn’t have to cost a lot! 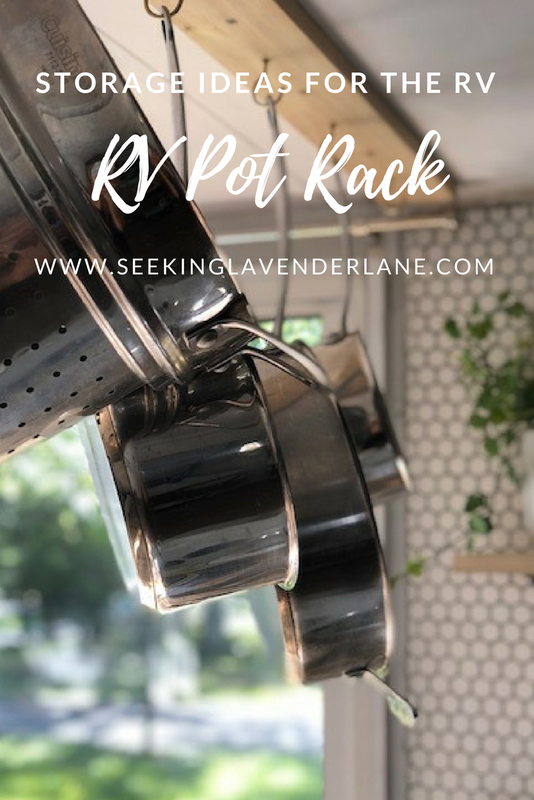 We created this easy DIY RV Pot rack with pennies…and it created cute stylish storage for our pots and pans and kitchen area. So, as you can imagine smart storage solutions for living in an RV is very important. We have gutted the RV at this point but adding in more storage ideas that work for our belongings and with style. 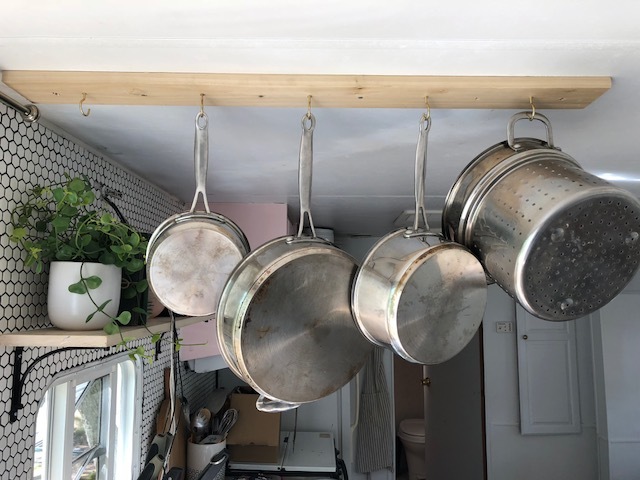 As you know I don’t really want to compromise the style of our RV for ugly storage solutions, so since we had taken down a cabinet for a better look in the RV kitchen, I now had to find a solution for our pots and pans. At our last house we had a pot rack which I loved the look of and helped to gain another cabinet for other things like mixing bowls etc. So, I thought this would be a clever idea for the RV too, but to create one on a budget and that would work with the lower ceilings in the RV. 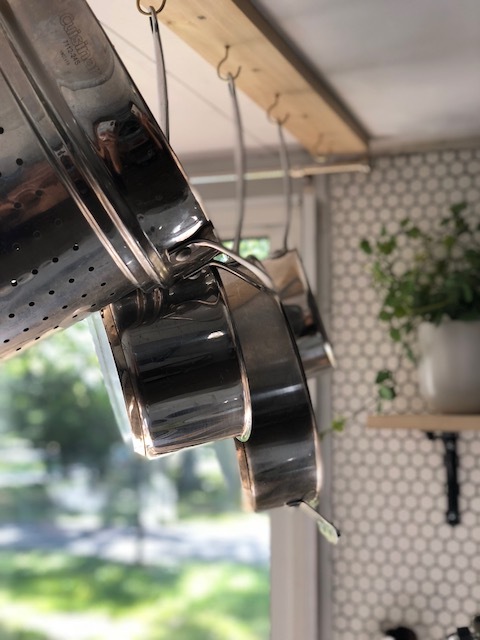 Now you may not be doing an RV makeover, but this could be an easy project to create to hang herbs or plants from. 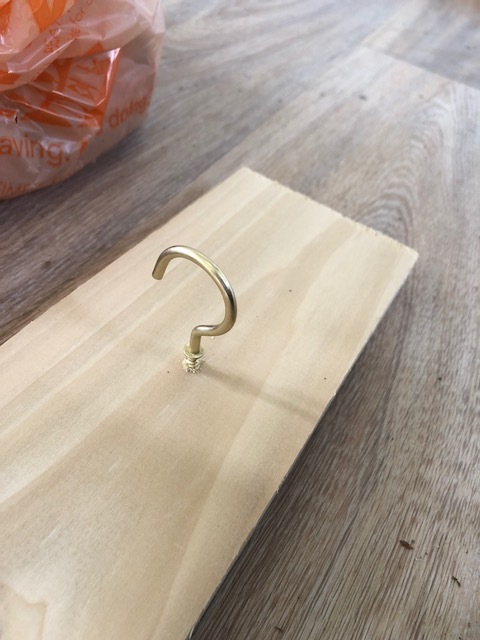 First layout hooks to where you plan to place them. 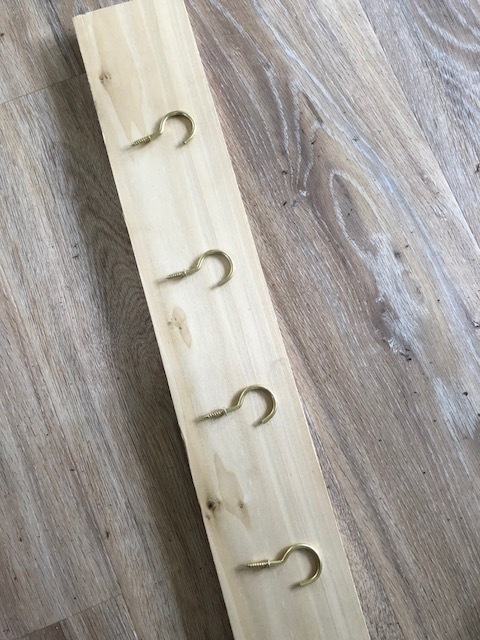 I chose 5 hooks so my pans would not be too close together. 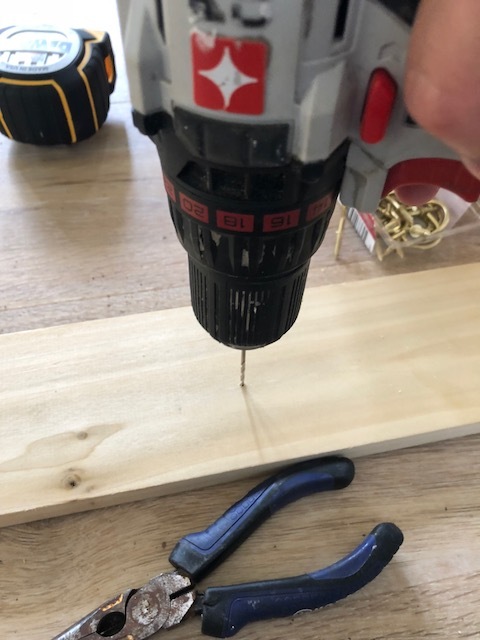 *TIP: The RV ceiling is made of plywood, so drilling into is easy, but keep in mind the weight of the objects. The RV is coming together and I am loving this little addition! We are officially moved in, I can’t wait to share more with you all and the final reveal. 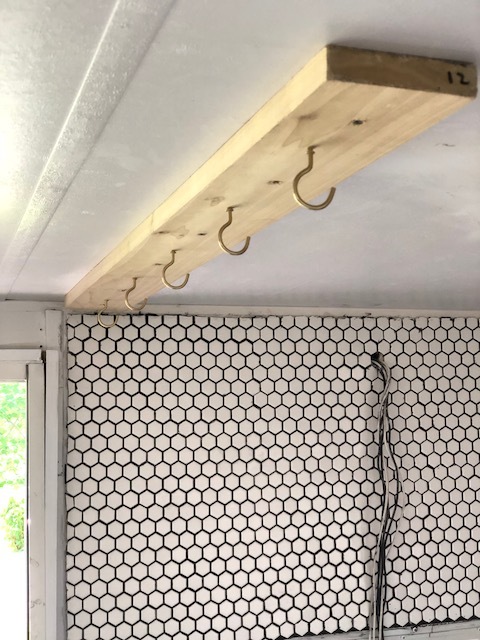 We still have more to go, but this easy DIY was such a great way to add stylish, affordable, and cute storage to the RV. Clever and easy idea. Can’t wait to see final RV reveal. Very good idea! Can’t wait to see final reveal!!!! I know it’ll be awesome!!! Luv it !! —lookin’ good ! !